We designed the set of Food Network Fantasy Kitchen! You can catch Scott Contant—celebrity chef, restaurant owner, and a judge on "Chopped"—and I on segments during Food Network's "The Kitchen." 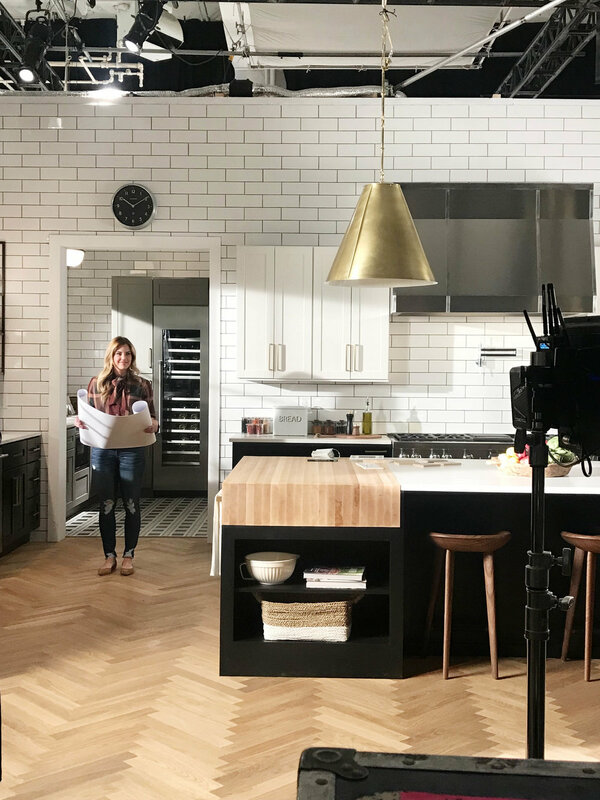 For this sweepstakes, you can enter to win $250,000 toward your Fantasy Kitchen!!! In order to inspire ideas on how you can use that money, we needed to create one for Food Network! We're going to walk you through the entire process!! If you just want to see the final result, you can here!!! There are infinite directions we could have taken for a fantasy kitchen! Traditional, farmhouse, coastal, etc. are all beautiful kitchen styles that would have easily worked. 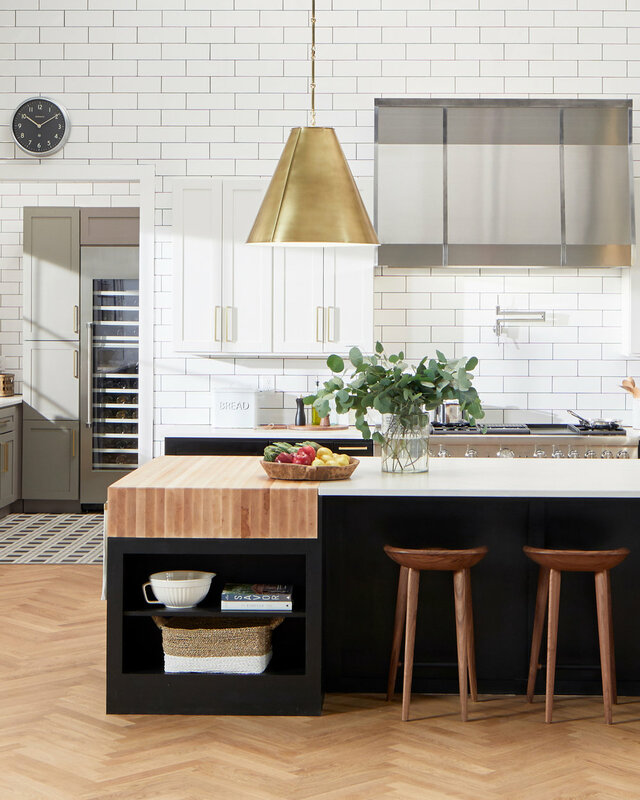 We wanted to do a kitchen that was transitional and approachable—no matter what your style. Two words really came to mind that work in every space we designe are "warm and modern," so it was the starting point for our kitchen! We made one trip out to the studio for progress and installation. It was stunning from the start!!! When I flew out to finally shoot Food Network segments, they put me in makeup and my own private dressing room. Being in makeup for what seemed like all day, I quickly made friends with the makeup artist!! She was so sweet. I got to dip my feet into acting. Here is a shot of me preparing to "design" the kitchen while I'm in it!! It was fun and the crew was so nice! I wore a black shirt on the second day of shooting and I was so happy about it!!!! Scott and I are showcasing the main features of the kitchen. Please note how tall he is compared to me!!! I'm the average height for a woman, but sometimes that feels so short! I wore heels behind the island to try to not be dwarfed by my cohost! Make sure to see the reveal in our past post! 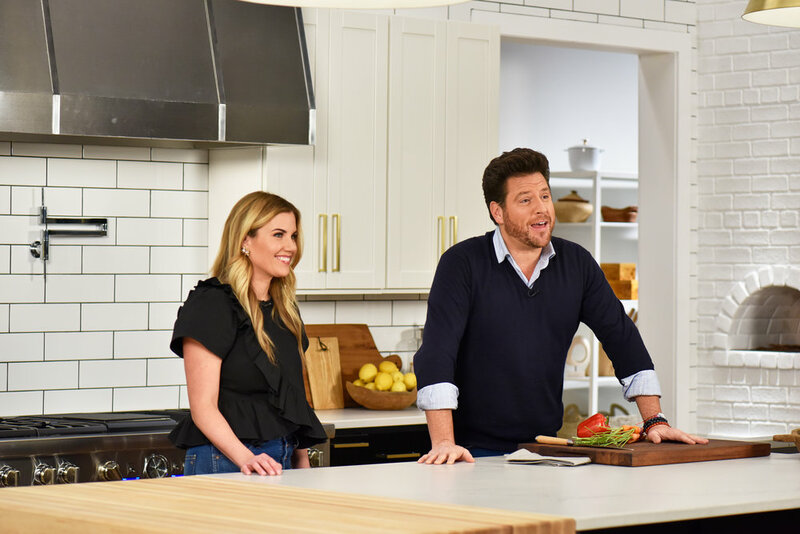 To see more segments and enter for a chance to win Food Network Fantasy Kitchen, make sure you check out Food Network's page!